Onderbergen 69, 9000 Ghent, Belgium. Boutique Hotel Onderbergen is brand new and will match expectations of everyone looking for a central location in Gent (only 50m away from the main shopping street, historical centre and public transport with direct links to the train station and Expo). 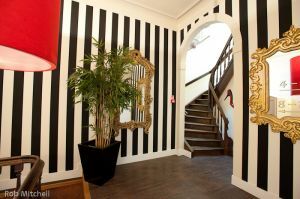 Free WIFI and large plasma TVs in each room with a wide range of channels and free movies available. Awardwinning international bar and restaurant. With its high ceilings, original features, charming decor and quiet but central location, Boutique Hotel Onderbergen will not disappoint the business traveller or those looking for a romantic break. Parking fee required, Paid public parking near the hotel (covered), Paid public parking near the hotel (open air). Near trainstation, Near to the university, Centre, Museum Area, Near the historic centre, River, Near subway / tramstation, Near shopping centre. Awardwinning international bar and restaurant. 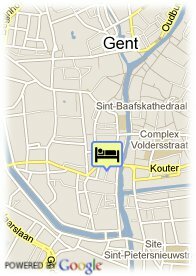 Central location in Gent (only 50m away from the main shopping street, historical centre and public transport with direct links to the train station and Expo).